With more and more devices autonomously connected to the Internet, simply named Things, the number of Things has already largely outpaced the number of connected users. This reality has led to the Internet of Things (IoT) being considered a major constituent of the current and future Internet. Things, typically embedding one or more sensors and actuators, provide a direct link between the physical and the virtual worlds; hence, the term cyber-physical systems, also used to designate the field. While potentially any physical object, stationary or mobile, can be connected, the power of the paradigm is well demonstrated by the recent massive adoption of multi-sensor-equipped personal devices, like smartphones, tablets and new wearable devices. Besides their large-scale, free-of-cost deployment and location coverage, these devices accompany their users literally in each moment of their everyday schedule, which makes their sensing data highly contextually significant. This perspective is even driven to its extreme with connected users sometimes considered as yet another category of sensors, often called social sensors. Such sensors strongly linked to users can be leveraged in combination with other Things deployed in a planned way. This is, e.g., the case in the context of smart cities, with numerous applications integrating connected infrastructures, vehicles and people. Building on existing advances in distributed systems, networking, wireless sensor networks, ubiquitous computing and service oriented computing, the IoT has introduced new challenges which stem from: (i) the openness, heterogeneity, scale, resource constraints and dynamics of the target computing environment, combined with (ii) the continuity, real-timeliness, location-dependency and uncertainty of the physical world phenomena and their sensing. This JISA Thematic Series aims at providing innovative contributions to the research and development of the IoT, regarding the design, analysis, implementation and evaluation of models, algorithms, protocols, software development platforms and tools, computing and networking architectures, as well as applications for the IoT. 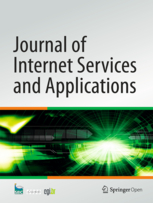 JISA is an open access journal; recent papers can be downloaded from jisajournal.com/content. Before submission, authors should carefully read the Instructions for Authors, which are located at jisajournal.com. Manuscripts are typically 14 two-column pages in length, but longer papers are also accepted. Prospective authors should submit an electronic copy of their complete manuscript through the SpringerOpen submission system at jisajournal.com/manuscript according to the submission schedule. They should select the correct Thematic Series in the “sections” box upon submitting. If you have any difficulty in paying the author processing charges (APC), please request a waiver from the editors. Please address queries related to this call to nikolaos.georgantas@inria.fr.